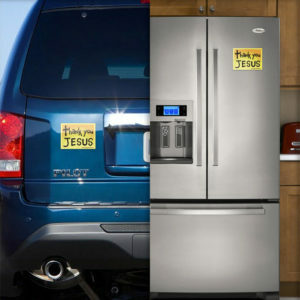 Join the movement to cover the land in Thank You Jesus signs! 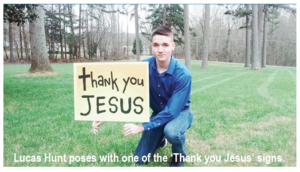 Lucas Hunt, a teenager active at Hopewell Friends Church, has had a heart for putting up yard signs in his neighborhood during Christmas, reminding people that “Jesus is the reason for the season”. His plan was to put out signs again at Easter. 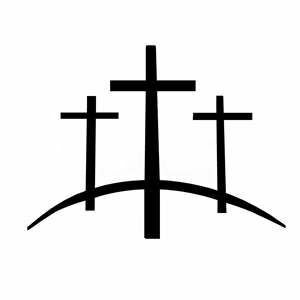 Around the same time another member of Hopewell, Connie Frazier, without knowing about Lucas’ plan, got the idea to do an Easter yard sign that said “Thank You Jesus”. It’s funny how God coordinates His work. The Thank You Jesus signs are a testament of our gratefulness for Jesus’ saving grace. Our goal is to spread this message around the world through our yard signs.